The project is launched. Not fully fledged and on its own yet, but The PM’s Companion and I managed to deftly get things started and kept smiles on our faces through seven days and many, many hours of work. I managed to sneak in a little bit of homemaking, hanging two items that have been languishing in the mud room coat closet since we arrived in mid-October. 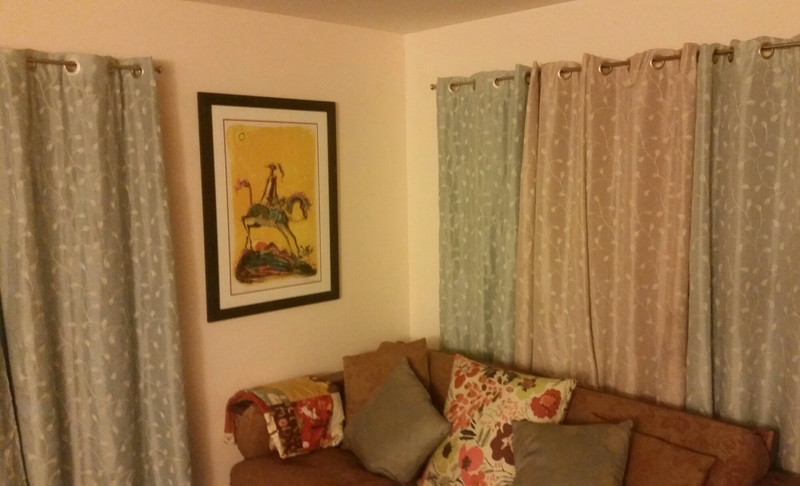 Don Quixote is in the living room. 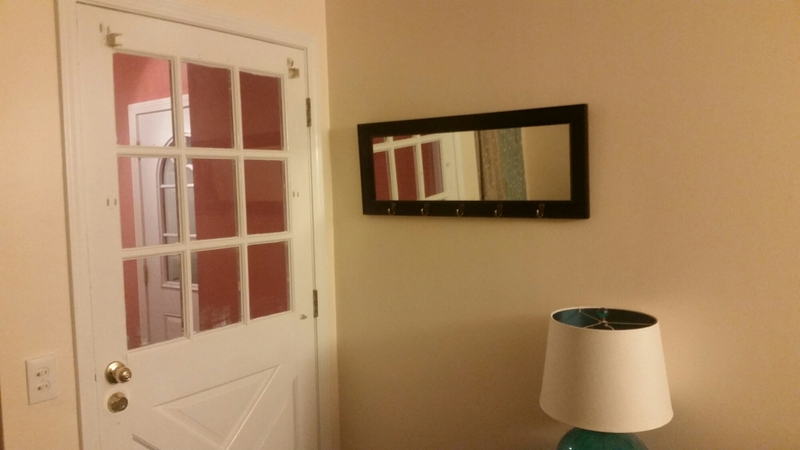 Just across from him, near the front door is one of the mirrored coat racks. These things make me smile. There are still a dozen or so pictures to place on the walls of the Blue Castle. One of my resolutions is to continue to become a better steward of my home. A benchmark of this goal is emptying that front closet. I am enjoying finding the right spot for each picture. Despite the long working hours, I did make progress on The 2016 Book Riot Read Harder Challenge . 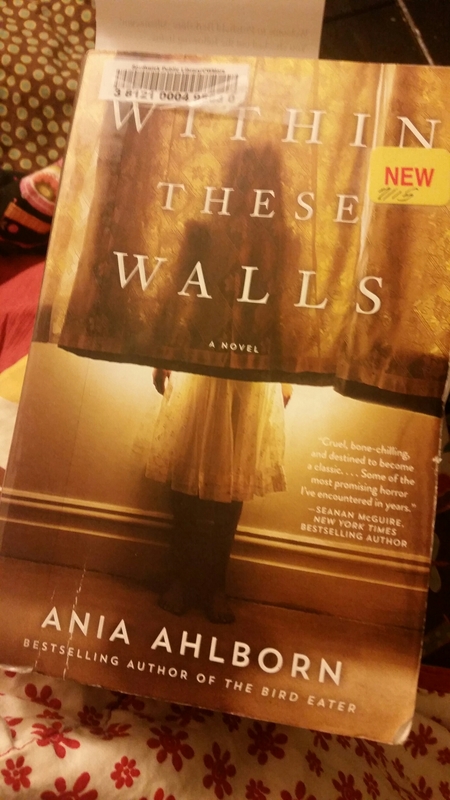 I finished a horror novel (way outside my usual preference) recommend by the New York Public Library, Within These Walls by Ania Ahlborn. I didn’t enjoy it. The characters were flat and predictable and the ending was only a tiny bit interesting. 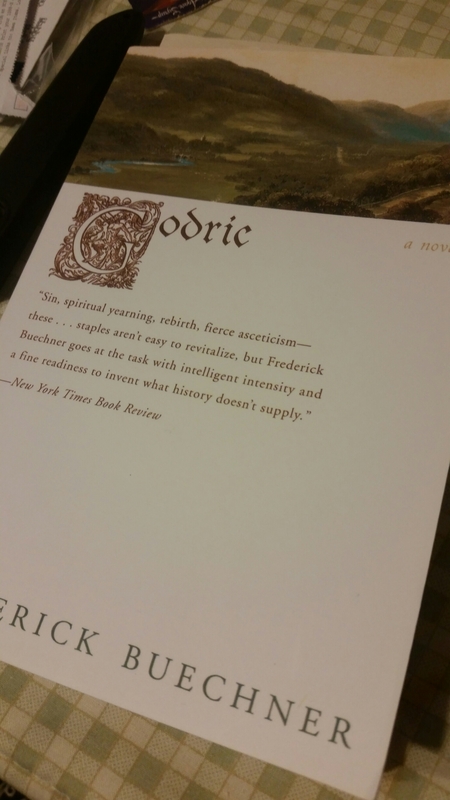 Next I’m making my way into Frederick Buechner’s Godric. I think this will fall into the challenge of reading a book about religion fiction or non-fiction, but I may have to read it first to decide. A reviewer blurb on the back cover says that “[Buechner] avoids metaphysical fiddle.” I have no idea what the reviewer is trying to say, but metaphysical fiddle certainly sounds like something to be avoided at all costs so I may add that to my resolution list too. Next week I’m hoping for more walking and more making. 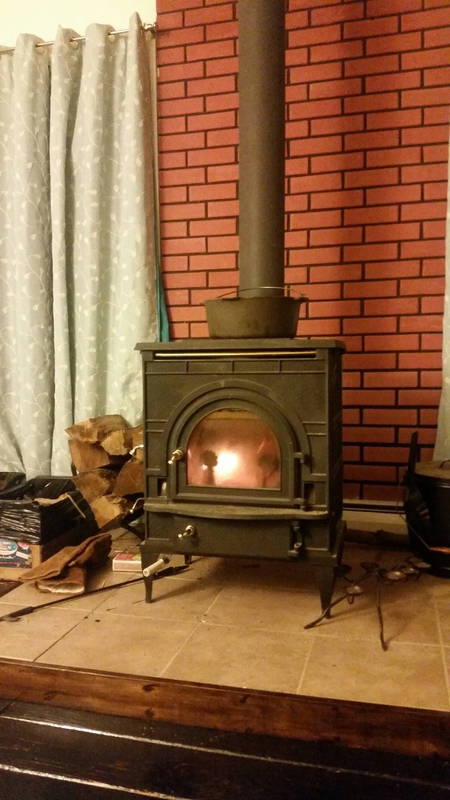 And plenty of time to sit by the fire. I like your resolution to be a better steward of your home. After spending a week in a lovely space but with minimal stuff of our own, I’m feeling a little claustrophobic in our small apartment with piles of things about. We have a large cluster of frames that have been waiting for wall space since we moved in almost two years ago. Maybe I will make that my project for the rest of the long weekend.